Please come to the annual BCC open house, see some old friends, make some new ones, play some chess (rated or unrated), and enjoy a free lunch. 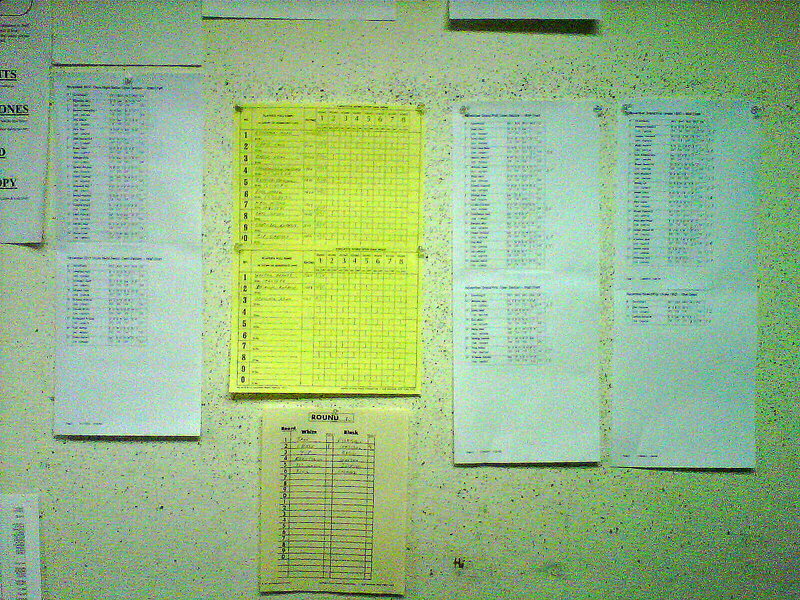 It's a great way to start the 2012 chess year. Registration isn't until 10:45 so you can sleep in from your celebrating the night before. Entry fee: $25, $20 BCF members if received by 12/30, $5 extra on site. Rounds: 11:45, 1:20, 3:00, 4:40. Free food and drink served all day long to tournament players. 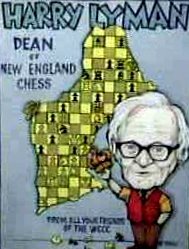 He was 88 years old and one of the original Charter members of the Boylston Chess Club at its official organization in 1919. He was Secretary Emeritus at his death. 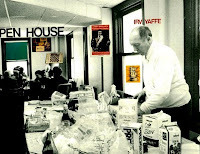 In 1980 the New Year's 30/30 was permanent dedicated to him as Herbert E. Healy Open House.Herbert E. Healy along with Harry Lyman, Irvin Yaffee, Myer Edelstein and others customarily provided food to the participants of this event. This information was taken from minutes of the club from January 27, 1974 and talking with Mr.Harry Lyman and William Lukowiak in past years. There are more testimonies about Mr. Healy that I am omitting. Vigorito's new Sicilian Dragon book is out. main developments and novelties for both sides. Essential coverage of the key Sicilian Dragon lines! Incl: Four Pawns Attack, Fianchetto Var., Averbakh Var. REMINDER: Larry Christiansen Simul New Year's Eve! Just a reminder, at 7:00 P.M. on New Year's Eve (this Saturday), three-time U.S. Champion GM Larry Christiansen will be having a 30-player simultaneous exhibition at South Station. This event will be a part of South Station's First Night 2012, so it should be a great atmosphere! So come by to the heart of Boston and watch the Boylston's highest rated member in action! 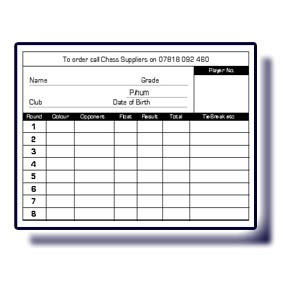 Don't miss out on this great opportunity - it may well be the last simul he does in 2011. Play chess on Christmas Eve - this Sat. For those of you finished with your holiday preparations, reward yourself with this previously unscheduled chess Quad or Octad. Chris Chase wlli be the TD and Harold Dondis will certainly play, so come by and play some games. Time control G/60 G/55 with digitial and 5/delay. Prizes the same for the Quads, Octad to be determined. Will be done by or before 5pm. The secret to beating chess computers: play touch move. Deep Blue's victory over Gary Kasparov in 1997 may have shown how computers can outsmart people, but if the game is taken into the physical world, humans still win hands down. That's because, for all their software smarts, robots remain clumsy at manipulating real-world objects. A robotic chess competition held in August, for example, showed that even robotic arms used for precise work on industrial manufacturing lines have trouble when asked to negotiate a noisy, chaotic real-world environment. The contest, held at the Association for the Advancement of Artificial Intelligence annual conference in San Francisco, California, had a number of automatons competing to see who could best move pieces quickly, accurately and legally in accordance with the rules of chess. Some teams used vision systems to identify where pieces were, but none attempted to distinguish between a rook and a knight, for example. Instead they relied upon remembering where pieces were last placed to identify them and move them accordingly. The bots quickly ran into snags - their vision systems often misread moves, which led to confusion as to what piece had moved, and where the other pieces were on the board. One approach, by robotics company Road Narrows, used a commercially available fixed robotic arm normally used for light industrial applications without any vision at all. The winner was a team led by Mike Ferguson at the University of Albany, in New York, which had a mobile robot with an arm attached. Despite the many variables introduced when moving a robot around, the droid's vision system managed to keep track of the board and pieces as it moved about, says Mike Stilman, one of the event's organisers, of Georgia Institute of Technology, in Atlanta. But even Ferguson's bot is a long way from earning the title "grand master" - all the teams' chess tactics came from a standard open source program that wouldn't have given Deep Blue a run for its money. 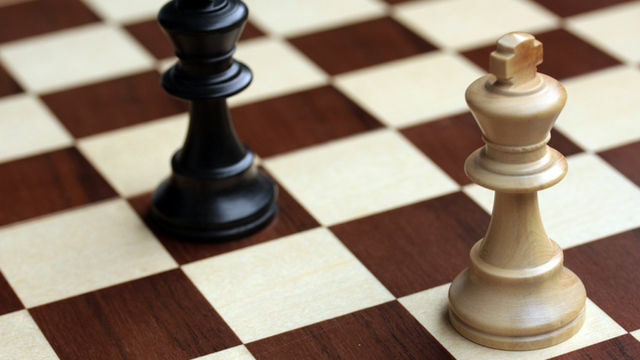 But the creation of a software champion chess program wasn't just about winning, Stilman says - it was about gaining an insight into how the human mind works in order to build smarter machines. By bringing the challenge into the real world, the hope is to do the same for the physical problems of robotics, he says. Just a reminder, everyone, GM Larry Christiansen will be holding a simul New Year's Eve at 7:00 P.M. at South Station. The event is to have thirty spots and is open to everybody, but 10 spots have been specially reserved for members of the Boylston, and they are filling up fast! If you interested in pre-entering, all you have to do is email natasha.us@gmail.com and state your intent. Don't delay, though, as that would result in a tempo disadvantage, and you certainly don't want to have that when you're dealing with GM Christiansen! Last broadcast on Thursday, 08:32 on BBC World Service. ... Every year Harvard Economics Professor Ken Rogoff says he recieves an unsolicited letter from one of the world's top chess players. 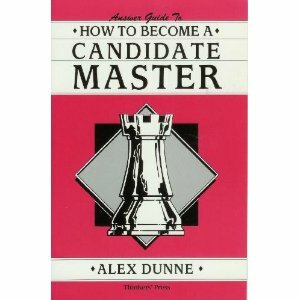 It is a different one every year but the question is the same: how can I get out of chess. Because Ken Rogoff is one of those exceptional people who has managed to excel not just in one field but in two. Professor Rogoff has been chief economist at the IMF, he's worked the Federal Reserve, but he had a life before economics. As a child Ken developed an all-consuming passion for chess. He left home - and school - at 15 to pursue this passion and he did very well indeed. 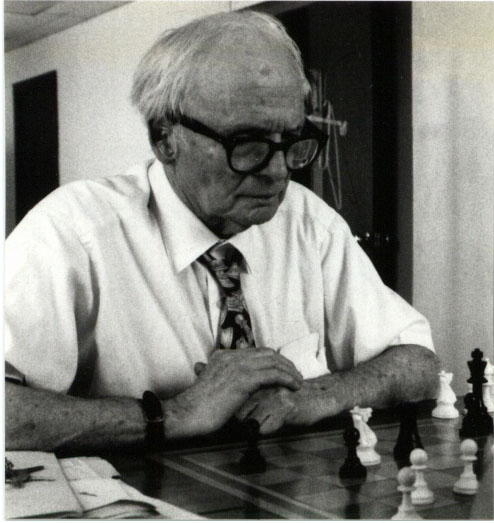 He became an international grand master -- the highest title in chess and was once ranked 40th in the World. Justin Rowlatt asks Ken Rogoff why he was forced to decide to stop playing the game he loved. 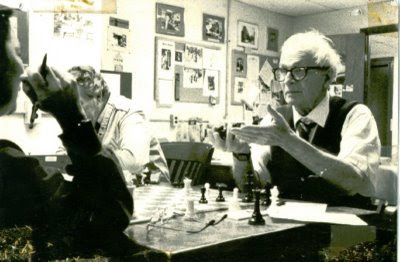 Harry Lyman was the dean of New England chess and the soul of the Boylston Chess Club. Don't miss his memorial tournament on Saturday with a $400 prize fund (b/30). 1957 Lyman, Harry wins US amateur championship, 6-0, in Ashbury park, NJ. 4SS; G/60. Entry fee: $25, $20 to BCF members. Prizes: $400b/30: 1st $150 2nd $75 Under 1800 1st $100 2nd $75; Registration: 9:15 to 9:55; Rounds: 10:00, 12:40, 3:00, 5:10. Saturday, December 17: Harry Lyman Memorial 4SS; G/60. Entry fee: $25, $20 to BCF members. Prizes: $400b/30: 1st $150 2nd $75 Under 1800 1st $100 2nd $75; Registration: 9:15 to 9:55; Rounds: 10:00, 12:40, 3:00, 5:10. Larry Christiansen Simul New Year's Eve! 2011 is winding down, and as we look back upon our years in chess, we ask ourselves, 'have I played in a simultaneous exhibition against three-time U.S. Champion GM Larry Christiansen this year?' If you answered 'no,' or even if you answered 'yes' and just want to play again, I have some good news for you! As part of South Station's First Night 2012, GM Christiansen will hold a simul starting at 7:00 P.M. on New Year's Eve. In case you missed his earlier simul there this October, it was a great atmosphere and a strong turnout that even featured a few wins against the three-time champ! Spots are limited, so stay tuned for details on how to register! In the last Grand Prix event of the year, the prizes are on the line. 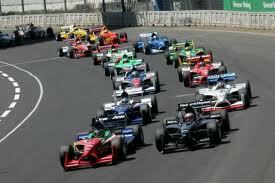 But even if you aren't in the running, the cheap $10.00 for non-members and $7.00 for members entry fee can't be beat. This year, the event proved so popular that we are continuing the Grand Prix next year, with the following change-- there will be two Grand Prix events, each lasting six months instead of the full year. So, with one tournament day left, the following players are within 4.0 points of claiming a prize. Note that since these are Under Prizes, some players are racing to the top of several lists (but will only win one prize). Also, remember that half point byes do not count, but forfeit wins and forced byes DO count. As you can see, none of the sections are locked up, and only Arthur Tang has more than a 2 point lead. Some people are asking what happens if the lower rated people get ahead of the higher rated players-- if they have a higher score, then they will win the higher prize. If a player places first in two sections, that player will win the prize that maximizes the scores of the other section winners. For example, right now Steven Stepak is in first in both the U1800 and the U1600 prizes. If Mark Neale ends up with more points that Robert Holmgren, then Steven will get the U1800 prize and Mark will get the Under 1600 prize (which are worth the same). However, if Robert ends up with a higher score than Mark, then Steven will get the U1600 prize and Robert will get the U1800 prize. OK, leaders-- don't squander your chance to win some great free entries or free membership! Everyone else, come for some pre-holiday rated games. This last Saturday's Quads yielded some interesting results. Fourteen people participated. We had a light turnout, we think, because of a larger tournament taking place in Leominster. rose to the top of the heap. The Quad's Chief Arbiter, his first time officially in that role, was new BCC Board Member Nathan Smolensky, aided by Doc Kinne. 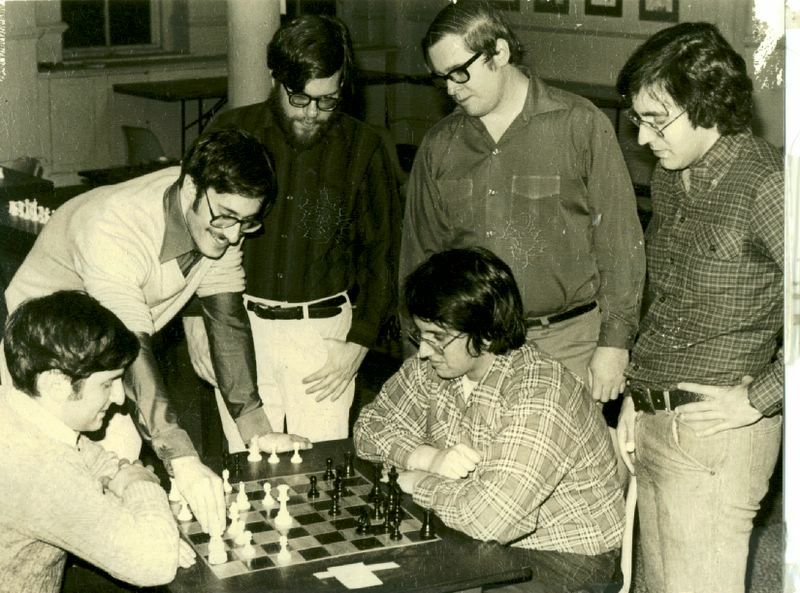 The Boylston Chess Club's November Thursday Night Swiss finished up just last Thursday. Yes, we finished up in December, largely because we didn't play on Thanksgiving. The Arbiter and Organizer probably rather properly thought that our player's families would...object. The tournament was directed by everyone's favorite "tiny TD," Doc Kinne. Will Ose retain his title in December? Will he defend? Will Harold Dondis continue to make a habit of getting 1st Under 1800? Come join us for the December Thursday Night Swiss starting this Thursday, 8 December! In English, some players are in the habit of calling the rook a "castle". In French, do some players call the tour (rook) a château (castle)? Or do they perhaps use a different "unofficial" word, and if so, what? This does not seem likely to be answered authoritatively by a French-English dictionary. I'm not convinced that this informality of chess piece terminology would be found in any other languages; maybe English is the only one so "polluted". I'd also be interested in knowing the analogous linguistic situation with respect to cavalier (knight) and cheval (horse). cheval: Fam. Pièce du jeu d'échecs (syn. usuel CAVALIER). but I still hope a French speaker can comment on the rook terminology. For some, less scary than a Najdorf Sicilian...the Boston Rock Gym. When I arrived at the Boylston Chess club last Sunday at 9:05 AM I had no idea what was in store for me that morning. The club’s computer had crashed and I had no way to resuscitate the machine! I called many computer-whiz peers but to no avail. I had a tournament to run that morning, and with time running short I had to turn back the clock several decades. 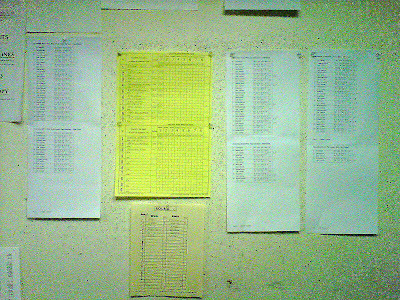 I dug out the wall charts and pairing cards which have been long neglected in a corner of the TD cabinet, reverting back to the way tournaments were conducted in the days before computers. As I was filling in the cards and answering the phone, the older players simply asked about the computer. As we got ready to make pairings for the first round, the younger generation asked their parents, “What are those?” referring to the cards over the tables as if I were entertaining myself by playing solitaire! We have now updated our extensive collection of library books, which includes over 2500 unique titles and more than 500 duplicate books for sale. You can find the updated book sale prices posted in our club-- BUT-- from now through the end of the Herb Healy event on New Year's Day, club members can take an additional 20% off the listed prices. We have some real gems and interesting titles among the offered books-- here is a tiny sample. If you liked Endgame, maybe you should check out Frank Brady's original Fischer biography, written at the height of Bobby' career. 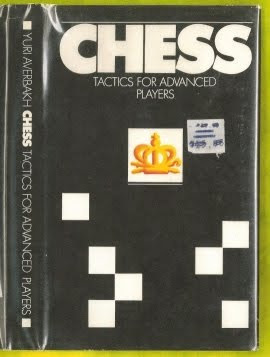 This Averbach book is one of the most respected tactics books ever made. 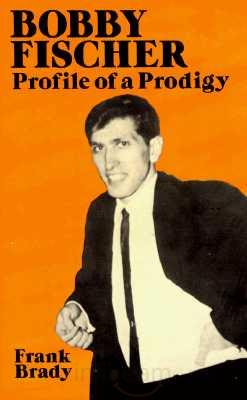 We have both the hardback and paperback versions of this Polgar book for sale. 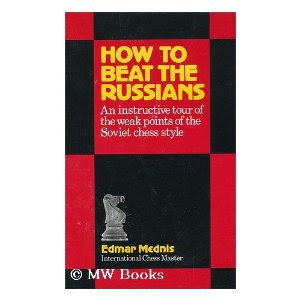 How to Beat the Russians, a companion book to Mednis's How to Beat Bobby Fischer, also on sale. 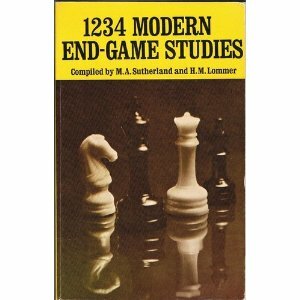 1234 Endgames is another classic, filled with great studies. Are you stuck at the Class A level? Check out Alex Dunn's advice on How to become a candidate master. (Folding) Party at the Club! What are you doing this coming Tuesday evening? Want to come to a party? A folding party at the Club, sponsored by the Finance Committee? No, I've not gone completely off my rocker (well, not completely!). The Finance Committee has put together a donation letter for the Club and help is needed to fold and "stuff it" so they can be mailed out. The fact of the matter is that these letters are needed. Yes, your membership (you are a member, aren't you??) is extremely valuable and much appreciated. A small section of your tournament entry fees goes to support the Club as well. But, more is needed and this is where the Finance Committee's donation letter comes in! And believe it or not, it can be fun! Folding allows you to talk and socialize with your fellow Club members who you usually meet somewhat silently over the board. The Party is scheduled for 6:30PM, Tuesday, 29 November. Come help your Club out in an easy but very important way, and have some good conversation in the process!